Main stations, like Gold Souq Station, will open from 4:25am to 12:29 am (past midnight), and Al Ghubaiba Station from 4:14am to 12:33am (past midnight). Subsidiary stations, such as Satwa, will operate from 5:00am to 11pm except for Route C01, which will be operating around-the-clock. Al Qusais Bus Station will open 5:00am to 11:45pm, Al Qouz Industrial Station will operate from 5am to 11:35pm and Jebel Ali Station will be offering service from 5am to 11:30pm. 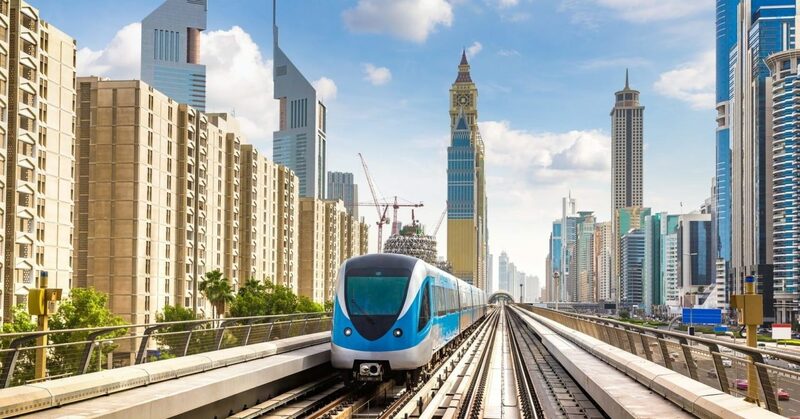 Stations of Metro Feeder Buses, such as Al Rashidiya, Mall of the Emirates, Ibn Battuta, Burj Khalifa, Abu Hail and Etisalat, will open from 5am to 12:20am (past midnight). The timing of all metro feeder buses is synchronised with the timing of the metro service. Inter-city bus stations and commercial buses will operate as follows: Main stations like Al Ghubaiba will operate around-the-clock to Sharjah (Jubail), and from 4:36am to 12:01am (past midnight) to Abu Dhabi. Subsidiary stations, like Union Square, will operate from 4:30am to 1:25am (of the following day). Al Sabkha Station will open from 6:15am to 1:30am (of the following day). Deira City Centre Station will open from 5:35am to 11:30pm, Karama Station will open from 6:10am to 10:10pm and Al Ahli Club Station will open from 5:55am to 10:15pm. All paid parking zones will be free on Sunday, 18 November except for multi-level parking terminals. Parking fees will be reactivated on Monday, 19 November. Water Bus will shuttle at Marina stations (Marina Mall, Marina Walk, Marina Terrace, Marina Promenade) from 12pm-midnight. The Water Taxi will be operating from 9am-10pm. Traditional Abra will operate at Dubai Creek Stations (Baniyas, Dubai Old Souq, Al Seef), from 10am-midnight. At the Sheikh Zayed Road Station, the Abra service will be running from 4pm to 10pm.